For many years now, music and fashion have evolved simultaneously. There has been an inseprable link between the two which is why one is important to the other. Various genres of music have established significant cults who create trends which is incorporated into fashion. Musicians from Jimi Hendrix to Lady Gaga have been trendsetters within the fashion industry. They dress in a certain manner to create a unique identity among the others. Their demeanor and style is not only heard in their music but seen in their clothes. Blues is a genre which grew from the late 1800s African-American society and primarily consisted of simple structures and vocals. 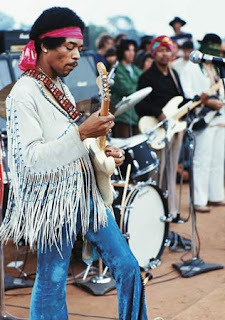 A very prominent blues artist, Jimi Hendrix, is known for not only his music but also his style. He adopted a very boho-indie style with lots and lots of colour. Hendrix was known for his funky jackets and colourful, bright shirts. A trendsetter that I still look up to. His style has become so popular, especially among the youth with everyone strutting fringes, boots, funky jackets and abundant colour. Jazz evolved from its forefather-blues, incorporating groovy sounds making it prominent dance music in the early 20th century. 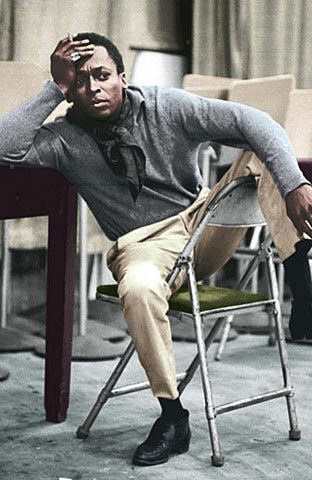 Miles Davis is synonymous to jazz and style. A brilliant musician and an extremely stylish man. His attire was always sleek, classy with clean lines. His casual looks were completed by adding a scarf or throwing on a coat. Rock first introduced as "Rock & Roll" now has been divided into many sub-genres consisting of metal, alternative-rock, psychedelic rock, progressive rock, etc. 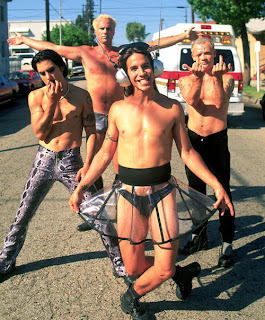 One of my favourite bands, Red Hot Chili Peppers is quite an eccentric rock band. Though im not a huge fan of rock, I grew fond of them as a child whenever my sister would play their music. All four of them share a quirky sense of fashion. They dont have any particular style but they just go all out crazy wearing or sometimes not wearing clothes. R&B originated from blues and jazz and was based on soulful music and vocals. Whitney Housten was a popular R&B artist whose music was widely heard, by all ages. She was a stylish woman who not only followed trends but created them too. 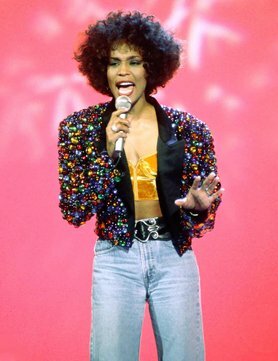 Young women considered and still do consider her a style icon. She was always well dressed wearing elegant gowns or designer dresses. Her ever changing hairstyles became a trend among many. Hip-hop/ rap became an evolution among the youth and became a culture of its own. 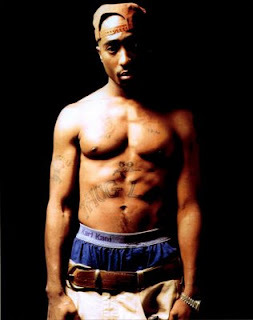 Tupac Shakur was one of those artists who created the hip-hop/ rap cuulture. His music and poetic lyrics connected to the ordinary man. This created a huge following. He started the hip-hop trend of wearing low waist- baggy pants, caps and loose, big t-shirts. Electronic music incorporates the groovy sounds of funk/disco created through electronic means. Electronic music has changed the dance scene today making EDM (electronic dance music) extremely popular. 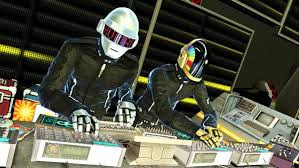 Daft Punk is one such duo who not only create groovy tunes but do that in a unique style. Their signature- helmets! They always wear helmets while performing and dress in a futuristic manner.